A world class facility for current and prospective students, researchers and teaching staff. 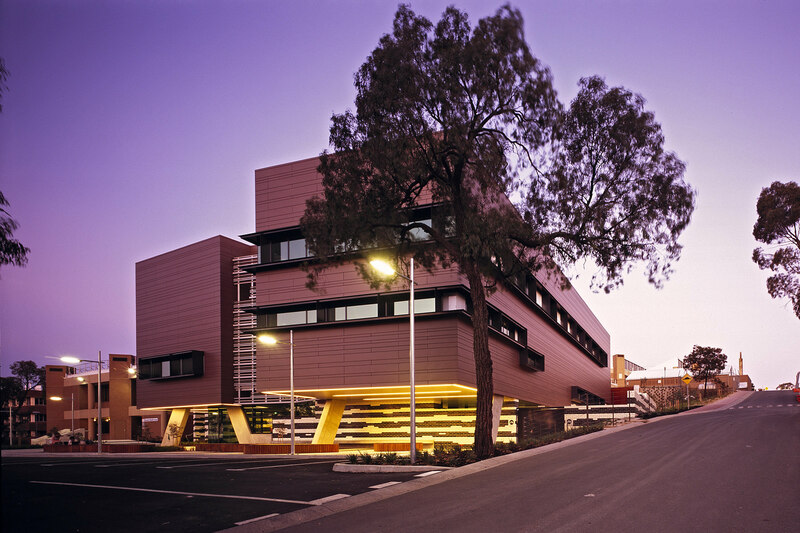 The Health Sciences Building on the University’s Flora Hill Campus in Bendigo is the focus for the first year of health science degrees. It contains academic and administrative staff offices and expanded space for teaching and research. 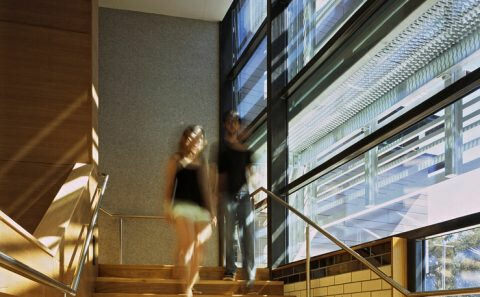 The Building provides new simulation facilities and teaching and learning spaces for first and second year allied health students including podiatry, occupational therapy, physiotherapy nursing, paramedical studies, social work and public health. 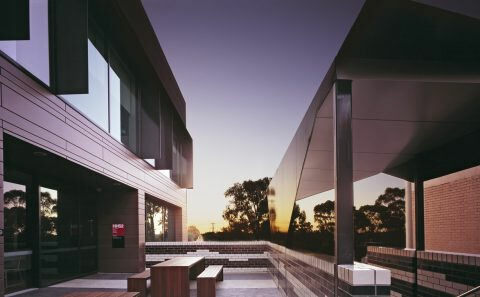 With a northerly aspect to maximise natural daylight, the three level facility offers shared spaces, including a large landscaped courtyard that encourages social interaction and discourse. At ground floor the building provides a new entry to the Faculty and the paramedic external simulation space. On the upper two floors are student and staff areas consisting of clinical simulation spaces, teaching and learning spaces, staff offices and administration areas. The building’s ecologically astute façade harmonizes with the surrounding campus and its rural context.